Chinese Premier Wen Jiabao smiles as he watches a performance given by students during his visit to the Chinese Culture Center in Seoul on May 29, 2010. The political brouhaha over Bo Xilai’s ouster as Chongqing Party Secretary continues to reverberate throughout China’s political system. Most notable is an effort at the top by Premier Wen Jiabao to capitalize on the moment by trying to once again energize his reform agenda. More recently, he has taken aim at the behemoth state-owned banks, claiming that the time had come to end their monopoly on China’s financial system in order to relieve the suffering of households, which enjoy only non-competitive and extremely low interest rates on their savings, as well as entrepreneurs who are effectively starved of capital because 90 percent of bank lending goes to state-owned enterprises. To back up his words, Wen announced a pilot program in the entrepreneurial center of China, Wenzhou, in which private lenders will be allowed to operate loan companies and households will be able to invest in overseas financial institutions. Even the Global Times had some interesting things to say, advocating greater political freedoms but within some as yet undefined boundaries. Responding to the recent shuttering of the “ultra-leftist” website Utopia, the Global Times editor Hu Xijin wrote, "I don’t like the website Utopia, but I hope they can continue to make their voice heard.” Appearing as an advocate of free speech, he continued, “I don’t like what Liu [Xiaobo] stands for, but I wish he did not have to sit in prison, and that he would have his place in Chinese society like other ‘dissidents’ do.” But he lands here: “Nevertheless, the tolerance level in Chinese politics is never as high as we wish it to be. Do what you must but be mindful of the measure. Once you break past a certain threshold, the constructiveness of the diversity you’re trying to create will turn into destructiveness, and the backlash will happen. This is the real China”. 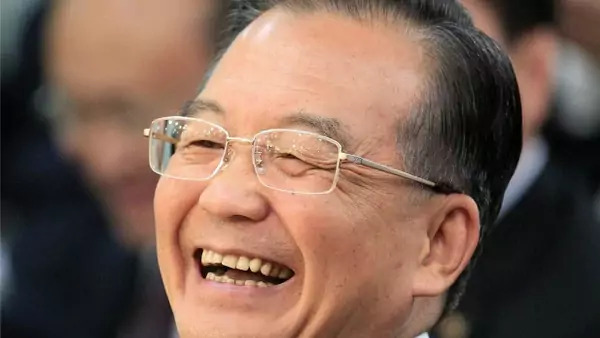 Whether you fall into the camp that believes Wen Jiabao is a reform fraud or the one that believes he is the real deal (and I confess to being squarely in the latter camp), there is little doubt that the premier is trying to develop a reform-oriented narrative for his legacy. All he really needs is one big success, but time is running out. If he leaves in 2013 without one notable policy victory, he will be relegated forever in history books as the man who stood next to Zhao Ziyang at Tiananmen, and even when given a second chance to accomplish something significant, fell short.